Size of this preview: 431 × 599 pixels. Other resolution: 737 × 1,024 pixels. Prudential Building, 28 Church Street, Buffalo, Erie County, New York, USA. 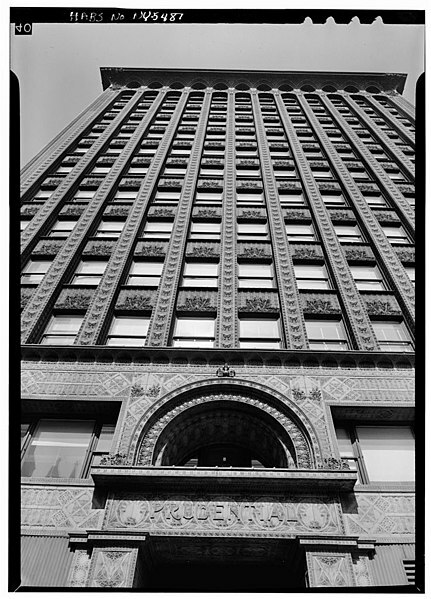 Architect Louis Sullivan; built 1894-1895. Author Photographer: Jack E. Boucher. Public domain - original works of the US Federal Government.